I came across some very affordable (about $6 each) USA-made end mills for aluminum, which sparked this idea. Currently spending $20 each on Kodiak end mills that only lasts a number of hours before dulling, making it nearly cost-prohibitive to cut aluminum. Would keep the water level very close to the top of the material so the blower in the Dewalt 611 would hopefully move some chips out of the way of the end mill, and would use my X-Carve exclusively for aluminum. Should I go for it? Any things I should take into consideration? I am no expert on the matter but have been considering upping my game relative to chip clearing/cut/surface quality. Cooling is only one part of the equation. At the moment I am using an air mister in combination with denatured alcohol, a little cooling but primarily lubrication (alcohol) and chip clearing (air). To make chips clear you need something to wash them away, stationary (relative) body of water provide nothing of that. The aluminium extruded bed will form a nice basis for draining allowing a flood system to be used. I would consider (and would prefer) a flood cooling system if not too expensive or difficult to implement. Searched and primarily found air misters rather than flood systems. Maybe something like this nozzle combined with a fountain water pump could work? Also do you think a submerged bed would be harder to clear the chips than without? 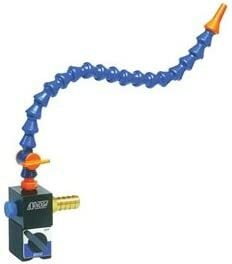 1 - Maybe something like this nozzle combined with a fountain water pump could work? 2 - Also do you think a submerged bed would be harder to clear the chips than without? Yes, basically that is it. Low cost DIY = fountain pump. Or if inclined go higher-end flood specific systems. I don’t have data on this, I assume the bit will puh water/material away to a degree but the greater velocity of the water the greater chip clearing properties it will have (I think ). Also beyond the immediate volume around the bit. 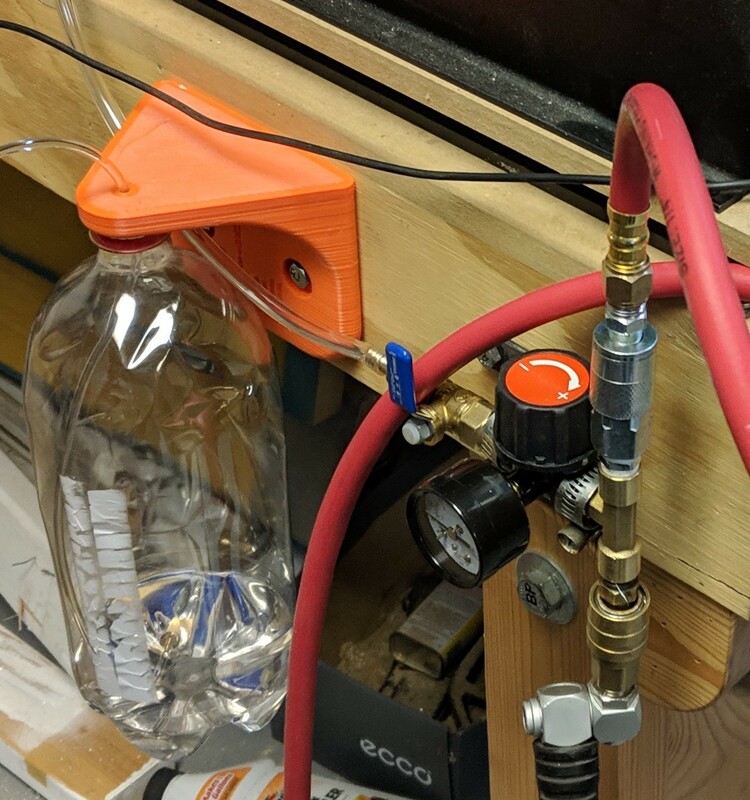 I run an air mister for aluminum using a compressor and denatured alcohol. It works fantastic and it doesn’t make a mess. I also have several kodiak end mills, and I’m not very impressed with their lifespan. I don’t think I’ll be buying them anymore. All of my Kodiaks have been properly cooled, and I have not used them aggressively. They’re already dull with maybe an hour of tool time. I have used submerging to cut tool steel with my x-carve. I only use it when flood cooling is absolutely necessary. Aluminum is not one of those materials that requires it. A mister is perfectly adequate for the capability of our machines. Like you mentioned, you would get so many chips it would eventually turn into a slush. 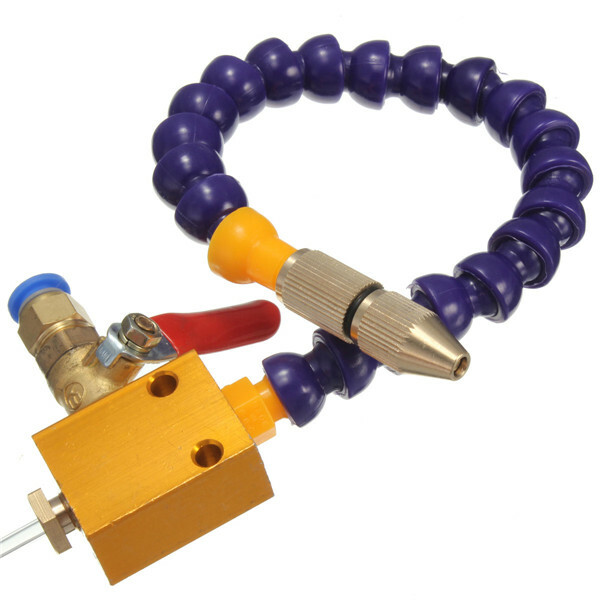 Are you using a Loc Line hose with the compressor? Mind sharing what parts you use? My X-Carve is in a soundproof box, so it would be really easy to use 1/8" HDPE sheets and silicone caulk to waterproof it. I’ve had a similar experience with Kodiaks. Work wonderfully for an hour, then okay at lower depth per pass for 5 hours, then they too dull to use. Just need to decide on an air compressor. I’ll post photos when complete my hybrid submerged/mist system! I would recommend at least a 30 gallon compressor so it can keep up. I run my mister at 15psi and it will cycle the compressor for two minutes about every 10-15 minutes of run time, which is acceptable to me. I have mine setup using a T splitter. I run my shop air straight through, and off the T I have a regulator to adjust the air at the mister. Originally I contemplated just using the regulator on my compressor, but you soon discover you need that knob closer. I have another female connector on the T for an air hose to blow off the debris occasionally. The reason for the regulator right at the machine is after it sits for a while air will get in the line and it takes quite a bit of time to get it out if you keep it at 15psi. I just spin it to 40psi or so, clear the line, then dial it back for brevity’s sake. I have coolant in coke bottles of various sizes, so I can cap it off when I’m not using it, pretty convenient. I would suggest something like Tap Magic for cooling and lubrication. It is available from Amazon. I don’t think there is any need to submerge the whole piece, just misting with the solutions that have been suggested.